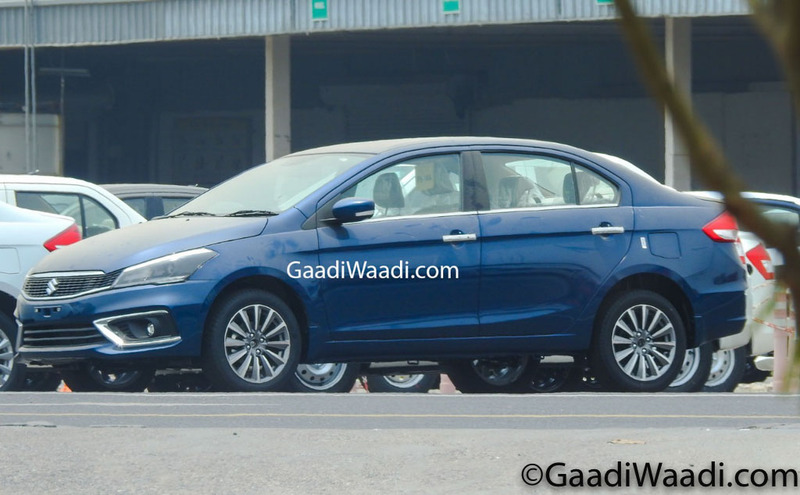 Maruti Suzuki is going to launch Ciaz facelift this month in India. The company is going to introduce new 1.5 L K15B petrol engine with SHVS technology to replace 1.4 L engine in current model and it produces 103 hp of power at 6,000 rpm and 138 Nm of torque at 4,400 rpm. This engine is mated to 5 speed manual and 4 speed automatic transmission. The SHVS technology helps the bigger engine to return better efficiency than 1.4 L unit. The 2018 Maruti Suzuki Ciaz mileage of new petrol engine with manual transmission is 21.56 kmpl compared to 20.73 kmpl on current model and 20.28 kmpl with automatic transmission compared to 19.12 kmpl of outgoing model. The impressive mileage will make Ciaz the most fuel efficient petrol sedan in its segment. The Ciaz facelift will continue to be powered by same 1.3 L DDiS engine producing 89 bhp of power and 200 Nm of torque. This engine is also mated to 5 speed manual gearbox. But the Indo-Japanese manufacturer is currently working on a new diesel engine, which will be introduced later this year. 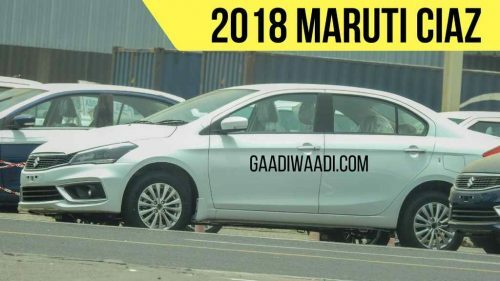 The Ciaz facelift is going to be the first model from Maruti Suzuki to come with dual battery as lead acid battery will be used only for AC and headlamps while Li-ion battery will power instrument cluster, music system and other electrical parts. This dual battery set-up will be introduced in other Maruti products also. The exterior changes on Ciaz facelift model include a new front grille along with revised headlamps with new LED DRLs, updated front bumper and revised fog lamp housing. The top end variants of Ciaz also come with LED fog lamps and 17 inch alloy wheels. The rear also gets a new bumper at rear with updated LED tail lamp. The interior changes in new Ciaz include a new instrument cluster along with ESP, Hill Assist and Cruise Control standard on automatic variant. The Ciaz comes loaded with features like touch screen infotainment system with Apple CarPlay and Android Auto, climate control, steering mounted controls and more.